What do you get when you pair the man who played The Lone Ranger with the current Superman actor, in a film directed by the same guy who gave us both Sherlock Holmes films starring Robert Downey Jr.? The answer is simple – a modern film adaptation of the 1960’s spy-fi action series called “The Man from U.N.C.L.E.”, which deals with two very unlikely agents working together to “stop a mysterious international criminal organization that is bent on destablizing the fragile balance of power through the proliferation of nuclear weapons and technology. 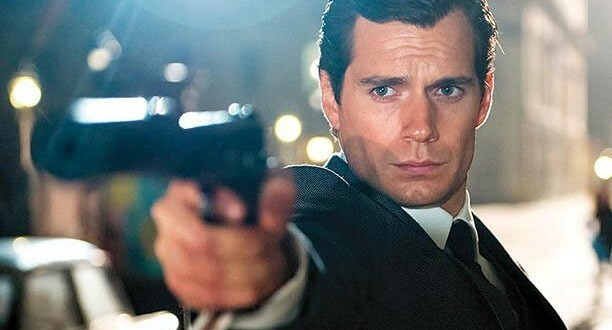 Starring Man Of Steel’s own Henry Cavill as American agent Napoleon Solo and The Lone Ranger star Armie Hammer as Georgian agent Illya Kuryakin, the two agents myst join forces to stop the threat, with their only lead being the daughter of a German scientist who vanished and has ties to the mysterious organization. Hugh Grant also stars as Mr. Waverly – the British head of U.N.C.L.E., while Alicia Vikander plays Gaby Teller, and Jared Harris in the role of Saunders. The Man From U.N.C.L.E. opens in Philippine theaters on August 13, courtesy of Warner Bros. Philippines! Previous articleWATCH: Wafku the Animated Series now in Toonami! Next articleDC Collectibles releases previews of their upcoming 2015 products!